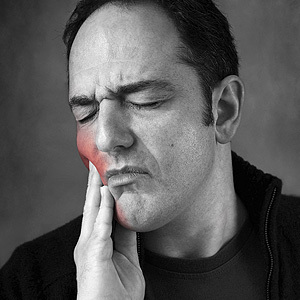 Have you noticed a clicking, popping, or grating sound when you open or close your jaw? As many as 36 million U.S. adults experience this phenomenon in one or both of the joints that connect the lower jaw (mandible) to the skull. Depending on the severity, TMD can interfere with your ability to speak, chew and even make facial expressions. The cause is unclear, but genes, gender, environment, stress and behavior are believed to play a role. It can also be symptomatic of a larger medical problem, such as fibromyalgia, which can produce pain all over the body. TMD traditionally was viewed as a bite problem (malocclusion) requiring mechanical correction — e.g., through orthodontic braces or surgery. But the current therapeutic model approaches TMD as an orthopedic problem (joint inflammation, muscle soreness, strained tendons and ligaments, and disk damage) and favors a sequence of conservative, reversible procedures — hot or cold compresses in the jaw area, soft foods, physical therapy/massage, medication, and/or a bite guard to decrease pressure on jaw joints from tooth clenching and grinding — prior to more aggressive, irreversible treatment alternatives.